Looking for a luxury bargain – then TUI All Inclusive 2019 Holiday Deals and First Choice AI are just the ticket! TUI and First Choice Cheap All Inclusive and Luxury All Inclusive 2019 Holiday Deals – what’s included? 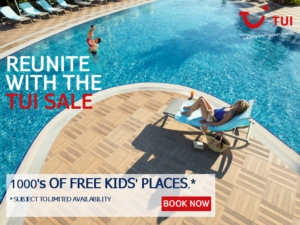 Whether you are after a cheap or luxury TUI All Inclusive 2019 holiday deal, and First Choice All Inclusive holidays it’s all paid for up-front. That means meals, soft and local alcoholic drinks, tea & coffee, entertainment, transfers, etc. So, not only is it a lot easier to budget before you go, but when you get there, you can relax and get on with the important bit – enjoying yourself! 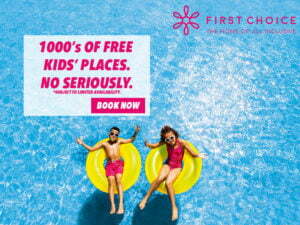 There are different types of TUI and First Choice 2019 All Inclusive holidays to choose from, whether you’re after the flexibility of a 24-hour package, or you prefer the luxury extras that accompany Gourmet Inclusive, like premium drinks and multi-course dining – no matter your tastes or budget there’s an All Inclusive holiday for you. First Choice All Inclusive 2019 Holiday Deals. 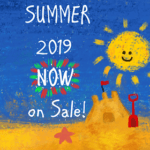 Below are some great TUI All Inclusive 2019 holiday deals and First Choice resorts for Summer 2019. If you have a time or place already in mind why not use the Holiday Search for specify departure dates, destinations (e.g. 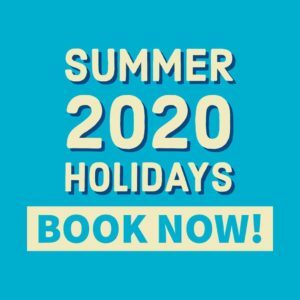 Summer 2019 / 2020), airports, duration, for your All Inclusive late deal. From £377pp, Thursday, May 16, 2019, for 7 nights - Staying at the 2 Star Apartamentos Turbo Club, Maspalomas, Gran Canaria - 1 Bedroom Apartment with Balcony or Terrace - All Inclusive from TUI - depart from London Gatwick airport. From £391pp, Wednesday, May 15, 2019, for 7 nights - Staying at the 3 Star Catalonia Punta del Rey, Las Caletillas, Tenerife - Premium Twin Room with Limited Sea View and Balcony - All Inclusive from TUI - depart from London Gatwick airport. From £396pp, Wednesday, May 15, 2019, for 7 nights - Staying at the 3 plus Star Be Live Tenerife Hotel, Puerto de la Cruz, Tenerife - Twin Room with Balcony - All Inclusive from TUI - depart from London Gatwick airport. From £399pp, Thursday, May 16, 2019, for 7 nights - Staying at the 3 Star Apartments The Morromar, Matagorda, Lanzarote - 1 Bedroom Apartment with Balcony or Terrace - All Inclusive from TUI - depart from Luton airport. From £417pp, Thursday, May 16, 2019, for 7 nights - Staying at the 2 plus Star Jardin Atlantico, Playa del Ingles, Gran Canaria - 1 Bedroom Apartment with Balcony or Terrace - All Inclusive from TUI - depart from London Gatwick airport. From £418pp, Tuesday, May 21, 2019, for 7 nights - Staying at the 3 Star Riu Oliva Beach Resort, Corralejo, Fuerteventura - Main Building Twin Room with Limited Sea View and Balcony or Terrace - All Inclusive from TUI - depart from London Gatwick airport. From £421pp, Friday, May 17, 2019, for 7 nights - Staying at the 3 Star Hotel Paradise Lago Taurito, Playa Taurito, Gran Canaria - Twin Room with Limited Sea View, Pool View and Balcony or Terrace - All Inclusive from TUI - depart from London Gatwick airport. From £425pp, Wednesday, May 15, 2019, for 7 nights - Staying at the 2 plus Star Caleta Dorada Apartments, Costa Caleta, Fuerteventura - Bungalow with Terrace - All Inclusive from TUI - depart from London Gatwick airport. 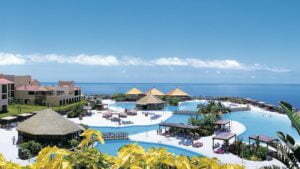 From £434pp, Thursday, May 16, 2019, for 7 nights - Staying at the 5 Star La Palma & Teneguia Princess, Fuencaliente, La Palma - Twin Room with Balcony or Terrace - All Inclusive from TUI - depart from London Gatwick airport. From £435pp, Thursday, May 16, 2019, for 7 nights - Staying at the 4 Star Occidental Lanzarote Mar, Costa Teguise, Lanzarote - 1 Bedroom Family Room with Balcony or Terrace - All Inclusive from TUI - depart from Luton airport. From £440pp, Thursday, May 16, 2019, for 7 nights - Staying at the 4 Star H10 Taburiente Playa, Los Cancajos, La Palma - Twin Room with Limited Sea View and Balcony - All Inclusive from TUI - depart from London Gatwick airport. From £441pp, Friday, May 17, 2019, for 7 nights - Staying at the 4 Star Be Live Experience Orotava, Puerto de la Cruz, Tenerife - Twin Room with Balcony - All Inclusive from TUI - depart from Luton airport. From £441pp, Wednesday, May 15, 2019, for 7 nights - Staying at the 3 plus Star Aguamarina Golf Hotel, Golf del Sur, Tenerife - Twin Room with Balcony - All Inclusive from TUI - depart from London Gatwick airport. From £443pp, Friday, May 17, 2019, for 7 nights - Staying at the 3 Star Servatur Puerto Azul, Puerto Rico, Gran Canaria - 1 Bedroom Apartment with Limited Sea View and Balcony - All Inclusive from TUI - depart from London Gatwick airport. From £443pp, Thursday, May 16, 2019, for 7 nights - Staying at the 3 Star Caybeach Sun, Playa Blanca, Lanzarote - 1 Bedroom Family Room with Balcony or Terrace - All Inclusive from TUI - depart from Luton airport. From £447pp, Wednesday, May 15, 2019, for 7 nights - Staying at the 3 plus Star Hotel El Tope, Puerto de la Cruz, Tenerife - Twin Room with Limited Sea View and Balcony - All Inclusive from TUI - depart from London Gatwick airport. From £448pp, Thursday, May 16, 2019, for 7 nights - Staying at the 3 Star Caybeach Sun - Self Catering, Playa Blanca, Lanzarote - 1 Bedroom Apartment with Balcony or Terrace - All Inclusive from TUI - depart from Luton airport. From £450pp, Friday, May 17, 2019, for 7 nights - Staying at the 3 Star Compostela Beach Golf Apartments and Siam Park, Playa de las Americas, Tenerife - Studio - All Inclusive from TUI - depart from Stansted airport. From £450pp, Thursday, May 16, 2019, for 7 nights - Staying at the 4 Star Hotel Taurito Princess, Playa Taurito, Gran Canaria - Twin Room with Sea View and Balcony - All Inclusive from TUI - depart from London Gatwick airport. From £454pp, Wednesday, May 15, 2019, for 7 nights - Staying at the 3 Star El Duque Aparthotel, Costa Adeje, Tenerife - Studio with Balcony or Terrace - All Inclusive from TUI - depart from London Gatwick airport. From £464pp, Thursday, May 16, 2019, for 7 nights - Staying at the 4 Star TUI FAMILY LIFE Bahia Feliz Orquidea, Bahia Feliz, Gran Canaria - Split-level Twin Room with Balcony - All Inclusive from TUI - depart from London Gatwick airport. From £466pp, Wednesday, May 15, 2019, for 7 nights - Staying at the 2 Star Las Piramides Resort Hotel - Half Board, Playa de las Americas, Tenerife - Studio with Balcony - All Inclusive from TUI - depart from London Gatwick airport. From £467pp, Friday, May 17, 2019, for 7 nights - Staying at the 3 Star Hotel Beverly Park, Playa del Ingles, Gran Canaria - Twin Room with Balcony - All Inclusive from TUI - depart from London Gatwick airport. From £471pp, Tuesday, May 21, 2019, for 7 nights - Staying at the 4 Star Riu Paraiso Lanzarote Resort, Playa de los Pocillos, Lanzarote - Twin Room with Balcony or Terrace - All Inclusive from TUI - depart from London Gatwick airport. From £472pp, Wednesday, May 15, 2019, for 7 nights - Staying at the 3 Star Labranda Aloe Club, Corralejo, Fuerteventura - 1 Bedroom Apartment with Balcony or Terrace - All Inclusive from TUI - depart from London Gatwick airport. From £476pp, Wednesday, May 15, 2019, for 7 nights - Staying at the 3 Star Oasis Village, Corralejo, Fuerteventura - 1 Bedroom Apartment with Balcony or Terrace - All Inclusive from TUI - depart from London Gatwick airport. From £480pp, Thursday, May 16, 2019, for 7 nights - Staying at the 3 Star THB Flora - Bed & Breakfast, Puerto del Carmen, Lanzarote - Superior Junior Suite with Balcony or Terrace - All Inclusive from TUI - depart from Luton airport. From £480pp, Wednesday, May 15, 2019, for 7 nights - Staying at the 4 Star Vincci Tenerife Golf Hotel, Golf del Sur, Tenerife - Twin Room with Sea View and Balcony - All Inclusive from TUI - depart from London Gatwick airport. From £481pp, Wednesday, May 15, 2019, for 7 nights - Staying at the 3 Star Coral Los Alisios, Los Cristianos, Tenerife - 1 Bedroom Apartment with Pool View and Balcony or Terrace - All Inclusive from TUI - depart from London Gatwick airport. From £483pp, Wednesday, May 15, 2019, for 7 nights - Staying at the 3 plus Star Allegro Isora, Playa de la Arena, Tenerife - Superior 1 Bedroom Apartment with Balcony or Terrace - All Inclusive from TUI - depart from London Gatwick airport. From £485pp, Wednesday, May 15, 2019, for 7 nights - Staying at the 3 Star Labranda Golden Beach, Costa Calma, Fuerteventura - Twin Room with Balcony - All Inclusive from TUI - depart from London Gatwick airport. From £485pp, Thursday, May 16, 2019, for 7 nights - Staying at the 3 plus Star Villa Mandi and Siam Park, Playa de las Americas, Tenerife - 1 Bedroom Apartment with Balcony or Terrace - All Inclusive from TUI - depart from Luton airport. From £487pp, Sunday, May 19, 2019, for 7 nights - Staying at the 4 Star Occidental Lanzarote Playa, Costa Teguise, Lanzarote - Twin Room with Sea View and Balcony or Terrace - All Inclusive from TUI - depart from London Gatwick airport. From £494pp, Wednesday, May 15, 2019, for 7 nights - Staying at the 3 plus Star Hotel Costa Caleta, Costa Caleta, Fuerteventura - Twin Room with Balcony - All Inclusive from TUI - depart from London Gatwick airport. From £494pp, Thursday, May 16, 2019, for 7 nights - Staying at the 4 Star Los Zocos Club Resort, Costa Teguise, Lanzarote - 1 Bedroom Apartment with Balcony or Terrace - All Inclusive from TUI - depart from London Gatwick airport. From £495pp, Thursday, May 16, 2019, for 7 nights - Staying at the 3 Star BlueBay Lanzarote, Costa Teguise, Lanzarote - 1 Bedroom Apartment with Balcony or Terrace - All Inclusive from TUI - depart from Luton airport. From £498pp, Thursday, May 16, 2019, for 7 nights - Staying at the 4 Star Labranda Alyssa Suite Hotel, Playa Blanca, Lanzarote - Suite with Sea View and Terrace - All Inclusive from TUI - depart from Luton airport. From £499pp, Wednesday, May 15, 2019, for 7 nights - Staying at the 3 plus Star SBH Costa Calma Beach Resort, Costa Calma, Fuerteventura - Twin Room with Garden View and Balcony or Terrace - All Inclusive from TUI - depart from London Gatwick airport. From £499pp, Wednesday, May 15, 2019, for 7 nights - Staying at the 4 Star SBH Hotel Club Paraiso Playa, Jandia, Fuerteventura - Twin Room with Garden View and Balcony or Terrace - All Inclusive from TUI - depart from London Gatwick airport. From £502pp, Thursday, May 16, 2019, for 7 nights - Staying at the 4 Star Sandos Papagayo Beach Resort, Playa Blanca, Lanzarote - Twin Room with Balcony or Terrace - All Inclusive from TUI - depart from Luton airport. From £506pp, Monday, May 20, 2019, for 7 nights - Staying at the 4 Star Riu Vistamar, Amadores, Gran Canaria - Twin Room with Sea View and Balcony - All Inclusive from TUI - depart from London Gatwick airport. From £520pp, Thursday, May 16, 2019, for 7 nights - Staying at the 3 Star Canary Garden Club, Maspalomas, Gran Canaria - Bungalow with Terrace - All Inclusive from TUI - depart from London Gatwick airport. From £521pp, Friday, May 17, 2019, for 7 nights - Staying at the 4 Star LABRANDA Playa Bonita Hotel, Playa del Ingles, Gran Canaria - Twin Room with Balcony or Terrace - All Inclusive from TUI - depart from London Gatwick airport. From £529pp, Wednesday, May 15, 2019, for 7 nights - Staying at the 4 Star Hotel Club Jandia Princess, Jandia, Fuerteventura - Twin Room with Balcony or Terrace - All Inclusive from TUI - depart from London Gatwick airport. From £533pp, Tuesday, May 21, 2019, for 7 nights - Staying at the 3 Star GF Noelia, Puerto de la Cruz, Tenerife - Studio with Balcony - All Inclusive from TUI - depart from London Gatwick airport. From £534pp, Friday, May 17, 2019, for 7 nights - Staying at the 4 Star Be Live Experience Playa la Arena, Playa de la Arena, Tenerife - Twin Room with Limited Sea View and Balcony - All Inclusive from TUI - depart from Luton airport. From £543pp, Wednesday, May 15, 2019, for 7 nights - Staying at the 4 Star SBH Maxorata Resort, Jandia, Fuerteventura - Twin Room with Limited Sea View and Balcony or Terrace - All Inclusive from TUI - depart from London Gatwick airport. From £544pp, Wednesday, May 15, 2019, for 7 nights - Staying at the 4 plus Star TUI MAGIC LIFE Fuerteventura, Jandia, Fuerteventura - Twin Room with Sea View and Balcony or Terrace - All Inclusive from TUI - depart from London Gatwick airport. From £546pp, Sunday, May 19, 2019, for 7 nights - Staying at the 3 plus Star Sol Lanzarote, Matagorda, Lanzarote - Twin Room with Sea View and Balcony or Terrace - All Inclusive from TUI - depart from London Gatwick airport. From £554pp, Thursday, May 16, 2019, for 7 nights - Staying at the 3 plus Star Occidental Margaritas, Playa del Ingles, Gran Canaria - Superior Twin Room with Balcony or Terrace - All Inclusive from TUI - depart from London Gatwick airport. From £562pp, Wednesday, May 15, 2019, for 7 nights - Staying at the 4 Star Hotel Paradise Park, Los Cristianos, Tenerife - Superior Twin Room with Pool View and Balcony - All Inclusive from TUI - depart from London Gatwick airport. From £568pp, Thursday, May 16, 2019, for 7 nights - Staying at the 4 Star Vik San Antonio Hotel - All Inclusive, Puerto del Carmen, Lanzarote - Twin Room with Limited Sea View and Balcony - All Inclusive from TUI - depart from Luton airport. From £572pp, Wednesday, May 15, 2019, for 7 nights - Staying at the 3 Star Broncemar Beach Aparthotel, Costa Caleta, Fuerteventura - 1 Bedroom Apartment with Terrace - All Inclusive from TUI - depart from London Gatwick airport. From £575pp, Wednesday, May 15, 2019, for 7 nights - Staying at the 3 Star Sol Arona Tenerife, Los Cristianos, Tenerife - Twin Room with Limited Sea View and Balcony - All Inclusive from TUI - depart from London Gatwick airport. From £575pp, Wednesday, May 15, 2019, for 7 nights - Staying at the 4 Star Arenas Del Mar, El Medano, Tenerife - Junior Suite with Sea View and Balcony - All Inclusive from TUI - depart from London Gatwick airport. From £579pp, Wednesday, May 15, 2019, for 7 nights - Staying at the 3 plus Star Hotel Ereza Mar, Costa Caleta, Fuerteventura - Twin Room with Balcony or Terrace - All Inclusive from TUI - depart from London Gatwick airport. From £583pp, Thursday, May 16, 2019, for 7 nights - Staying at the 4 Star Hotel Coronas Playa, Costa Teguise, Lanzarote - Twin Room with Balcony - All Inclusive from TUI - depart from Luton airport. From £585pp, Sunday, May 19, 2019, for 7 nights - Staying at the 4 Star Riu Buena Vista, Playa Paraiso, Tenerife - 1 Bedroom Family Room with Limited Sea View and Balcony or Terrace - All Inclusive from TUI - depart from London Gatwick airport. From £588pp, Thursday, May 16, 2019, for 7 nights - Staying at the 3 Star THB Tropical Island, Playa Blanca, Lanzarote - Premium 1 Bedroom Apartment with Balcony or Terrace - All Inclusive from TUI - depart from Luton airport. From £590pp, Thursday, May 16, 2019, for 7 nights - Staying at the 4 Star Be Live Experience Lanzarote Beach Hotel, Costa Teguise, Lanzarote - Family Room with Balcony - All Inclusive from TUI - depart from Luton airport. From £593pp, Friday, May 17, 2019, for 7 nights - Staying at the 4 Star Hotel Barceló Santiago, Puerto de Santiago, Tenerife - Deluxe Twin Room with Sea View and Balcony or Terrace - All Inclusive from TUI - depart from Luton airport. From £593pp, Wednesday, May 15, 2019, for 7 nights - Staying at the 4 Star Spring Hotel Bitacora, Playa de las Americas, Tenerife - Twin Room with Balcony or Terrace - All Inclusive from TUI - depart from London Gatwick airport. From £596pp, Thursday, May 16, 2019, for 7 nights - Staying at the 4 Star The Mirador Papagayo, Playa Blanca, Lanzarote - Twin Room with Sea View and Balcony or Terrace - All Inclusive from TUI - depart from Luton airport. From £597pp, Monday, May 20, 2019, for 7 nights - Staying at the 4 Star Gloria Palace San Agustin Thalasso and Hotel, San Agustin (Gran Canaria), Gran Canaria - Double Room with Limited Sea View and Balcony - All Inclusive from TUI - depart from London Gatwick airport. From £601pp, Thursday, May 16, 2019, for 7 nights - Staying at the 4 Star TUI FAMILY LIFE Flamingo Beach, Playa Blanca, Lanzarote - 1 Bedroom Apartment with Balcony - All Inclusive from TUI - depart from Luton airport. From £603pp, Thursday, May 16, 2019, for 7 nights - Staying at the 4 Star TUI FAMILY LIFE Playa Feliz, Bahia Feliz, Gran Canaria - 1 Bedroom Apartment with Balcony or Terrace - All Inclusive from TUI - depart from London Gatwick airport. From £603pp, Thursday, May 16, 2019, for 7 nights - Staying at the 4 Star TUI FAMILY LIFE Las Pitas, Bahia Feliz, Gran Canaria - Studio with Balcony or Terrace - All Inclusive from TUI - depart from London Gatwick airport. From £607pp, Thursday, May 16, 2019, for 7 nights - Staying at the 4 plus Star Riu Papayas, Playa del Ingles, Gran Canaria - Twin Room with Garden View and Balcony - All Inclusive from TUI - depart from London Gatwick airport. From £609pp, Wednesday, May 15, 2019, for 7 nights - Staying at the 3 Star Coral Compostela Beach, Playa de las Americas, Tenerife - 1 Bedroom Apartment with Pool View and Balcony or Terrace - All Inclusive from TUI - depart from London Gatwick airport. From £617pp, Wednesday, May 15, 2019, for 7 nights - Staying at the 4 Star Labranda Hotel Bahia de Lobos, Corralejo, Fuerteventura - Twin Room with Pool View and Balcony or Terrace - All Inclusive from TUI - depart from London Gatwick airport. From £618pp, Friday, May 17, 2019, for 7 nights - Staying at the 4 Star Abora Catarina by Lopesan, Playa del Ingles, Gran Canaria - Twin Room with Balcony - All Inclusive from TUI - depart from London Gatwick airport. From £624pp, Wednesday, May 15, 2019, for 7 nights - Staying at the 4 Star Hovima Hotel Costa Adeje, Costa Adeje, Tenerife - Comfort Twin Room with Balcony - All Inclusive from TUI - depart from London Gatwick airport. From £628pp, Monday, May 20, 2019, for 7 nights - Staying at the 4 Star Suitehotel Playa del Ingles, Playa del Ingles, Gran Canaria - Twin Room with Balcony - All Inclusive from TUI - depart from London Gatwick airport. From £629pp, Thursday, May 16, 2019, for 7 nights - Staying at the 4 plus Star Elba Lanzarote Royal Village Resort, Playa Blanca, Lanzarote - Junior Suite with Garden View and Terrace - All Inclusive from TUI - depart from Luton airport. From £633pp, Wednesday, May 15, 2019, for 7 nights - Staying at the 4 Star Iberostar Playa Gaviotas Park, Jandia, Fuerteventura - Junior Suite with Pool View and Balcony - All Inclusive from TUI - depart from London Gatwick airport. From £634pp, Monday, May 20, 2019, for 7 nights - Staying at the 4 plus Star Hotel Suite Princess, Playa Taurito, Gran Canaria - Deluxe Junior Suite with Sea View and Balcony or Terrace - All Inclusive from TUI - depart from Stansted airport. From £636pp, Wednesday, May 15, 2019, for 7 nights - Staying at the 5 Star Sandos San Blas, Golf del Sur, Tenerife - Deluxe Twin Room with Balcony or Terrace - All Inclusive from TUI - depart from London Gatwick airport. From £638pp, Wednesday, May 15, 2019, for 7 nights - Staying at the 3 plus Star Hotel Gala, Playa de las Americas, Tenerife - Standard Twin Room with Balcony or Terrace - All Inclusive from TUI - depart from London Gatwick airport. From £646pp, Wednesday, May 15, 2019, for 7 nights - Staying at the 4 Star H10 Tindaya, Costa Calma, Fuerteventura - Double Room with Balcony or Terrace - All Inclusive from TUI - depart from London Gatwick airport. From £663pp, Monday, May 20, 2019, for 7 nights - Staying at the 4 Star Mur Hotel Neptuno, Playa del Ingles, Gran Canaria - Twin Room with Balcony - All Inclusive from TUI - depart from Stansted airport. From £664pp, Thursday, May 16, 2019, for 7 nights - Staying at the 4 Star Corallium Beach by Lopesan Hotels, San Agustin (Gran Canaria), Gran Canaria - Twin Room with Balcony or Terrace - All Inclusive from TUI - depart from London Gatwick airport. From £664pp, Thursday, May 16, 2019, for 7 nights - Staying at the 4 Star Gran Oasis Resort, Playa de las Americas, Tenerife - Duplex Suite with Balcony - All Inclusive from TUI - depart from London Gatwick airport. From £666pp, Monday, May 20, 2019, for 7 nights - Staying at the 4 plus Star Marylanza Suites & Spa Resort, Playa de las Americas, Tenerife - Suite with Balcony or Terrace - All Inclusive from TUI - depart from London Gatwick airport. From £674pp, Tuesday, May 21, 2019, for 7 nights - Staying at the 4 plus Star Hotel Barceló Fuerteventura Thalasso Spa, Costa Caleta, Fuerteventura - Twin Room with Balcony or Terrace - All Inclusive from TUI - depart from London Gatwick airport. From £688pp, Wednesday, May 15, 2019, for 7 nights - Staying at the 4 Star Melia Fuerteventura, Costa Calma, Fuerteventura - Twin Room with Balcony or Terrace - All Inclusive from TUI - depart from London Gatwick airport. From £697pp, Thursday, May 16, 2019, for 7 nights - Staying at the 4 plus Star Seaside Hotel Los Jameos Playa, Playa de los Pocillos, Lanzarote - Superior Twin Room with Garden View and Balcony or Terrace - All Inclusive from TUI - depart from Luton airport. From £712pp, Tuesday, May 21, 2019, for 7 nights - Staying at the 4 plus Star Hotel H10 Timanfaya Palace, Playa Blanca, Lanzarote - Double Room with Garden View and Balcony - All Inclusive from TUI - depart from London Gatwick airport. From £715pp, Sunday, May 19, 2019, for 7 nights - Staying at the 3 plus Star Hotel Hesperia Playa Dorada, Playa Blanca, Lanzarote - Deluxe Twin Room with Balcony or Terrace - All Inclusive from TUI - depart from London Gatwick airport. From £724pp, Monday, May 20, 2019, for 7 nights - Staying at the 4 Star Seaside Hotel Sandy Beach, Playa del Ingles, Gran Canaria - Twin Room with Balcony or Terrace - All Inclusive from TUI - depart from London Gatwick airport. From £724pp, Friday, May 17, 2019, for 7 nights - Staying at the 4 Star Gloria Palace Amadores Thalasso & Hotel, Amadores, Gran Canaria - Twin Room with Balcony or Terrace - All Inclusive from TUI - depart from London Gatwick airport. From £735pp, Sunday, May 19, 2019, for 7 nights - Staying at the 5 Star Hotel H10 Rubicon Palace, Playa Blanca, Lanzarote - Twin Room with Garden View and Balcony or Terrace - All Inclusive from TUI - depart from London Gatwick airport. From £737pp, Monday, May 20, 2019, for 7 nights - Staying at the 4 Star Hotel Meliá Tamarindos, San Agustin (Gran Canaria), Gran Canaria - Twin Room with Balcony - All Inclusive from TUI - depart from Stansted airport. From £769pp, Wednesday, May 15, 2019, for 7 nights - Staying at the 4 Star H10 Ocean Suites, Corralejo, Fuerteventura - Junior Suite with Balcony or Terrace - All Inclusive from TUI - depart from London Gatwick airport. From £778pp, Friday, May 17, 2019, for 7 nights - Staying at the 4 plus Star Melia Jardines del Teide, Costa Adeje, Tenerife - Deluxe Twin Room with Balcony or Terrace - All Inclusive from TUI - depart from Luton airport. From £790pp, Thursday, May 16, 2019, for 7 nights - Staying at the 4 plus Star Riu Gran Canaria, Meloneras, Gran Canaria - Twin Room with Garden View and Balcony or Terrace - All Inclusive from TUI - depart from London Gatwick airport. From £796pp, Wednesday, May 15, 2019, for 7 nights - Staying at the 4 plus Star ROBINSON Club Esquinzo Playa, Esquinzo, Fuerteventura - Superior Double Room with Balcony or Terrace - All Inclusive from TUI - depart from London Gatwick airport. From £802pp, Wednesday, May 15, 2019, for 7 nights - Staying at the 4 Star Iberostar Fuerteventura Palace, Jandia, Fuerteventura - Double Room - All Inclusive from TUI - depart from London Gatwick airport. From £813pp, Friday, May 17, 2019, for 7 nights - Staying at the 4 Star Hotel H10 Gran Tinerfe, Playa de las Americas, Tenerife - Superior Double Room with Sea View and Balcony - All Inclusive from TUI - depart from Stansted airport. From £814pp, Thursday, May 16, 2019, for 7 nights - Staying at the 4 plus Star Hesperia Lanzarote, Puerto Calero, Lanzarote - Twin Room with Sea View and Balcony or Terrace - All Inclusive from TUI - depart from Luton airport. From £818pp, Friday, May 17, 2019, for 7 nights - Staying at the 4 Star Hotel H10 Costa Adeje Palace, Costa Adeje, Tenerife - Twin Room with Limited Sea View, Pool View and Balcony or Terrace - All Inclusive from TUI - depart from Stansted airport. From £826pp, Wednesday, May 15, 2019, for 7 nights - Staying at the 4 Star Barcelo Corralejo Sands, Corralejo, Fuerteventura - Deluxe Twin Room with Balcony or Terrace - All Inclusive from TUI - depart from London Gatwick airport. From £864pp, Monday, May 20, 2019, for 7 nights - Staying at the 4 Star H10 Las Palmeras, Playa de las Americas, Tenerife - Twin Room with Balcony - All Inclusive from TUI - depart from London Gatwick airport. From £875pp, Wednesday, May 15, 2019, for 7 nights - Staying at the 5 Star GF Gran Costa Adeje, Costa Adeje, Tenerife - Twin Room with Pool View and Balcony - All Inclusive from TUI - depart from London Gatwick airport. From £876pp, Tuesday, May 21, 2019, for 7 nights - Staying at the 4 Star Hotel H10 Conquistador, Playa de las Americas, Tenerife - Twin Room with Balcony - All Inclusive from TUI - depart from London Gatwick airport. From £941pp, Sunday, May 19, 2019, for 7 nights - Staying at the 4 Star Barcelo Teguise Beach, Costa Teguise, Lanzarote - Junior Suite with Balcony - All Inclusive from TUI - depart from London Gatwick airport. From £954pp, Thursday, May 16, 2019, for 7 nights - Staying at the 5 Star Iberostar Lanzarote Park, Playa Blanca, Lanzarote - Family Room with Garden View and Terrace - All Inclusive from TUI - depart from Luton airport. From £963pp, Friday, May 17, 2019, for 7 nights - Staying at the 5 Star Adrian Hoteles Roca Nivaria GH, Playa Paraiso, Tenerife - Twin Room with Balcony or Terrace - All Inclusive from TUI - depart from Luton airport. From £1,150pp, Tuesday, May 21, 2019, for 7 nights - Staying at the 5 Star Iberostar Selection Sabila, Costa Adeje, Tenerife - Twin Room with Limited Sea View and Balcony - All Inclusive from TUI - depart from Stansted airport. From £1,172pp, Thursday, May 16, 2019, for 7 nights - Staying at the 5 Star TUI SENSATORI Resort Tenerife, Guia de Isora, Tenerife - Deluxe Twin Room with Balcony or Terrace - All Inclusive from TUI - depart from Luton airport. From £1,380pp, Wednesday, May 15, 2019, for 7 nights - Staying at the 5 Star Iberostar Selection Anthelia, Costa Adeje, Tenerife - Double Room with Limited Sea View - All Inclusive from TUI - depart from London Gatwick airport.